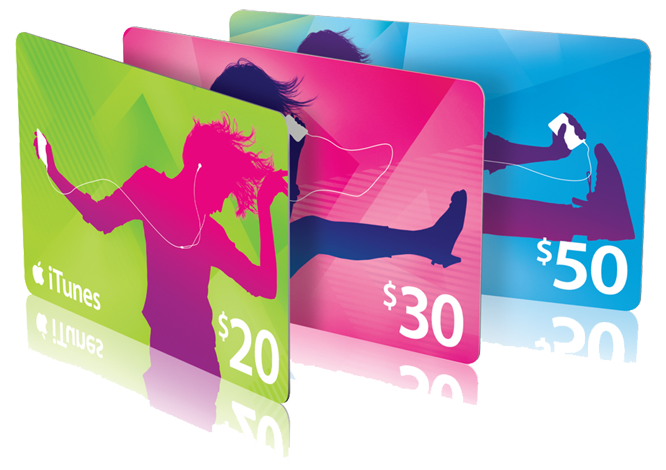 If you are located outside of the United States, and wish to purchase an iTunes gift card, you will need to create a USA iTunes Account. Sometimes this can be done by simply changing the region associated with your account in the settings. However, if you need further assistance, please consult this tutorial. First, open up iTunes. Log out of your existing account if you have one. If you are not already there, on the left-hand sidebar, select the iTunes Store tab. On the bottom-right corner of the page, click on the flag icon. Alternatively, select ‘Change Country’ underneath the Manage category at the bottom of the page. On this page, select the country of your choice (in this particular case, choose ‘United States’). A word of caution: Do NOT create an account at this point. Instead, browse the App Store and find any free app. Click to download it. When you click to download it, you will be prompted to create an account or login. Select ‘Create New Account’. On the next page, fill in the fields for email address, password and security question. Make sure to use a different email address than the one you use for your existing iTunes account. You will be asked to select a payment method. Select ‘None’. If you try to register an international credit card, it will be rejected and your registration will be blocked. Also note that the ‘None’ option only appears if you select a free app to download. Underneath the payment options, you will have to provide a US address. You can use Google to find a stock address, such as one for a McDonald’s. Or visit www.fakeusaaddress.com to generate an address for you to use. Congratulations! You now have a US iTunes Store account. After completing these steps, you now have access to a larger digital content library than most non-US countries. Unlike some apps found in other countries, US apps tend to be of higher quality and are more frequently updated. It helps to have these superior apps, so obtaining a US iTunes account is not just convenient, but practical as well.